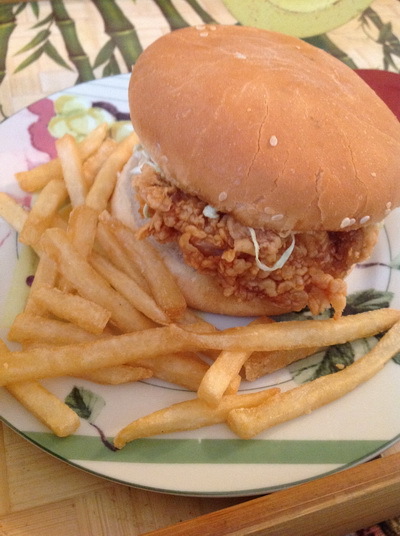 Zinger burger is a KFC most popular product , in our country every body is crazy to learn homemade zinger. 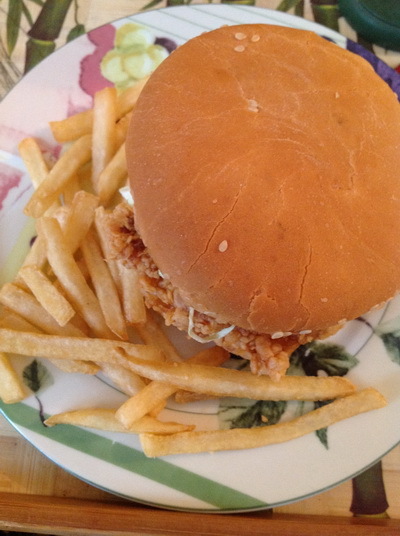 Zinger is named after a mythical part of our tongue, which is in the middle of our tongue (only myth) . * Marinate chicken in above mentioned ingredients. *Mix above mentioned ingredients in a bowl. Place chicken into large bowl and allow to MARINATE for approximately 1 hour. Beat egg and other ingredients in a bowl. Mix 2 flours in a dish and set aside for coating and crush corn flakes in a separate bowl. 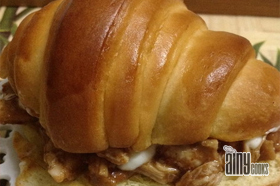 Remove and dry chicken using paper towels. Place in flour mixture, place in milk/eggs mixture, and then in corn flakes then back into flour mixture. Do this process 2 times and coat one piece at a time making sure that each piece is covered completely during each step. When done, allow chicken pieces drain on paper towels. Now take buns cut in two halves ,spread mayonnaise on both sides now add salad leaves , place chicken piece on it.And serve with any dip. Ur second paragraph in method is confusing me. R U saying tat flour should be mixed in the egg nd milk mixture? Then coated with cornflakes? Right? i have tried the corn falkes recipe several times, but it diesnt seem tto stick to the chk fillet, r u sure kfc uses them, i heard they use only dry and wet flour ? Erum, use crushed cornflakes for coating.This we are using for crispiness. can you please clarify: is the milk/eggs mixture to contain the flours? Sid, In egg mixture you will add flour. For coating i have mentioned cornflour and flour separate along with corn flakes. 1 cup plain flour, 1/2 cup corn flour and 1 cup crushed corn flakes.